Of all the T's amazing lines, the Mattapan Line has to be the T's least-known. That is largely what makes the Mattapan Line my favorite. When I ask people what kind of trains they think run on the Mattapan Line, they almost always tell me "Red Line trains." While the Mattapan Line is considered an extension of the T's Red Line subway branch, which runs ordinary subway cars, the Mattapan Line's is not a subway line but rather a surface streetcar line, much like the Green Line! 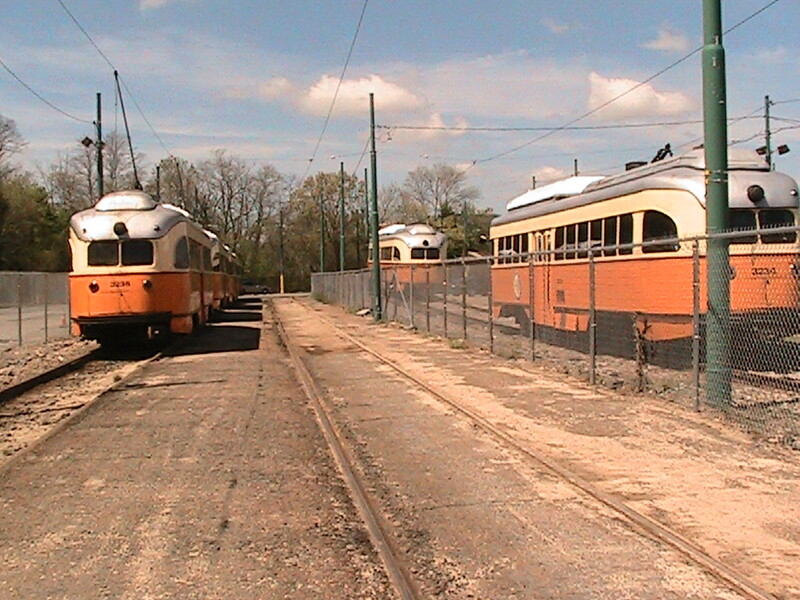 First delivered to Boston in 1937, PCC Streetcars such as these once ran all over Boston until they ended service on the Green Line in 1985. From then on, ten of the roughly 350 PCCs Boston once owned continued to run on the Mattapan Line. While for a while the PCCs retained their green paint from the Green Line, recently the MBTA restored the PCCs to their original Boston Elevated Railway paint that they were originally delivered in. As a result, riding the Mattapan Line is a beautifully vestigial experience that provides a strong sense of what transit was once like in Boston. Riding the Mattapan Line is a great experience not only because of the cars. The line runs on a private right-of-way formerly owned by the New York, New Haven and Hartford Railroad that has to be the most scenic transit route in Boston today. Since the line was converted from steam train to streetcar operation in 1928, the Mattapan Line trolleys have shuttled riders from Ashmont Station in the delightful Lower Mills neighborhood of Dorchester along the Neponset River through Milton to Mattapan. The line instantly takes a country feel to it after it leaves the urban setting of Peabody Square. From then on, the line runs alongside the Neponset River, where one can see greenery and water all around. One can even catch glimpse of herons and other wildlife if one looks hard enough, not to mention colorful boats moored along the river. Once the trolley reaches Milton, one feels like one has reached a small country town. Milton, particularly the area around the Central Avenue station, feels very classic, with plenty of small independent shops and restaurants some of which still retain 1950s signage. At the Butler, Milton or Central Avenue stations, one can hitch onto the Neponset Trail and take a "walk through the country," or even a bike or kayak ride, about half an hour away from Boston! All in all, the Mattapan Line provides a scenic, easily accessible country retreat from thrills of Boston all for the cost of a typical T fare.